Allow us to make your next party fabulous! Verdes, Torrance, Granada Hills, and many other areas! your event service needs are fulfilled. 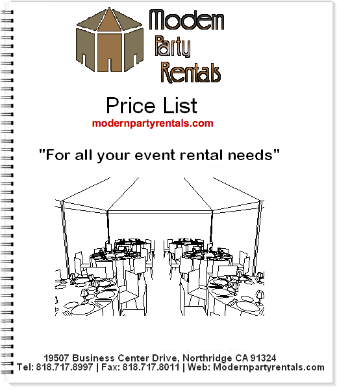 Modern Party Rentals, Inc ©1999-2018. All rights reserved.